Stock solution A. 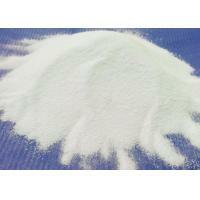 0.2 M monobasic sodium phosphate, monohydrate (27.6g/L) Stock solution B. 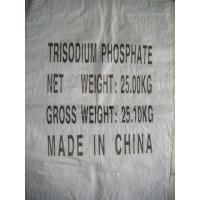 0.2 M dibasic sodium phosphate (28.4 g/L). 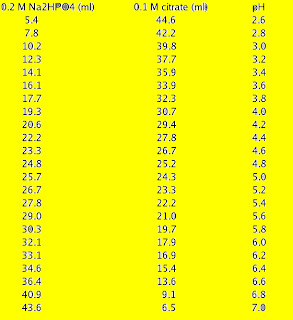 Mixing an appropriate volume (ml) of A and B as shown in the table below and diluting to a total volume of 200 ml, to make a 0.1 M phosphate buffer of the required pH at room temperature.... Recipes: buffers, fixatives, etc . 0.1M Phosphate buffer solution • Prepare 4 volumes of 0.1 M sodium phosphate dibasic (Na2HPO4), i.e. 800ml for a 1l solution. Phosphate Buffer (pH Range = 5.8 to 8.0) Mix 0.1M sodium phosphate monobasic and 0.1M sodium phosphate dibasic solutions in the proportions indicated below and adjust the final volume to 200 ml using deionized water.